My next book is getting closer to being released. What is this book about? Food. Why? The number one question asked since Eat by Color came out is do you have recipes. The answer, yes, and they are in this new book. All recipes are super easy to make, taste great and have only a half dozen ingredients. Ingredients that you will actually have in your house. Going a step further, the book teaches how to make better food choices forever! No eliminating entire food groups. There is even a 7 DAY Meal Plan using the recipes in the book! You can click the link below and get some of the recipes right now…. Print and Kindle versions coming soon! Clink https://bit.ly/2zWhgj4 for great recipes! Ray Binkowski is the former owner of a hybrid training gym, author (all of his titles are on Amazon), and trainer. He has lost over 60 pounds and kept it off for over 15 years. He has worked with thousands including professional athletes, police/fire/military, physique competitors, even corporations like 3M, and most often people looking to make a long term change in health, wellness, and weightloss. Plus the Get Fit and Live Healthy podcast FREE on Itunes (just search Get Fit and Live Healthy on Itunes). Get All Three Print Books for ONLY $30.00!!! 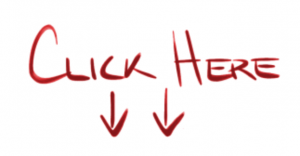 Click Here and Jump Start Your Progress! Get Dylan's 7 Eat by Color Training Programs! Click Here and get the 7 Eat by Color Programs Dylan Used in Her Transformation! Get Eat by Color and Exercise Galore for ONLY $30 a savings of $15!!! tax and shipping may apply! If you can Paint by Number you can "Eat by Color" and lose weight! You too can Finally lose weight, and keep it off. How do I know? I have gone from over 230 pounds to about 170 pounds and lost 5 pant sizes. I have also kept the weight off for over ten years! I have used "Eat by Color" to help hundreds over the last 10 years do the same. Yeah that is me, and yes I used to fit into pants that size, 36x30! "So, I got dragged in to Old Navy today because I got a pair of shoes recently that require skinny jeans to look right. I never wear skinny jeans. Ever. Now, I knew my size 10s were too big on me, but I didn’t realize just how big – I bought a pair of 6s that are on the verge of being too big for me. Even in middle school at my smallest I was a size 8. So it’s kind of a big deal. Just thought I would share that." "In less than ﬁve months, I have gone from being a size 10/11 to being able to button up a size 7 jean. All of the clothes I had that were a little too tight on me are now a little too big. But best of all, this 4th of July I wore a bikini for the ﬁrst time since... never. I am seeing great results so far and I’m really excited to see the body I’ve been working for beginning to emerge!" "After maintaining what I thought was a healthy vegetarian diet for a year, my body began to store body fat. By incorporating Eat by Color, I am eating a greater variety healthy fat and proteins while maintaining a vegetarian lifestyle. I lost 3.5% body fat and 5 pounds of fat in ﬁve weeks. I am satisﬁed with the meal combinations and can enjoy my favorite Mexican restaurant." "After 3 weeks: down 1 pant size; blood sugar levelling/lowering!" "STOP THE MADNESS is how I felt before calling Ray!I was doing one to two hours of cardio a day, lifting weights if I had time, and eating 0 carbs. Ray cut my cardio completely, told me to focus on weight training, and taught me Eat by Color. As a successful personal trainer myself, I was appre- hensive but JUMPED in. I was 180 lbs three weeks ago, today I weighed 169.6 lbs and am excited to see where Eat by Color will take me." "With Ray’s help, I was able to get to below 7% body fat (down from 18%), I had abs for my honeymoon; the lowest ever. Ray made my nutrition and training program ‘brainless." "My cardio was cut back and greater emphasis was placed on my food and weight training. At 47 years old my body fat went from 18% to 15% and I dropped TWO Dress Sizes in less than THREE Months!" "Six months have passed and I’ve gone from a size 10 to a size 4, a size a month! Because of Eat by Color I have more energy and I haven’t caught a cold from the kids this year. I don’t have to accept gaining weight as I get older as a matter of course." "When I ﬁrst came to Ray I was overweight, lethargic and my conﬁdence level was at an all time low. Ray set up a program to meet my personal goals I dropped from a size 12 to a size 4 in 5 months! At 44, I feel better and stronger than ever. " "I have lost 20 lbs in eight weeks and I am still enjoying a few beers on the weekends. All I am doing is Eat by Color." "Just checking in with my progress. I’m feeling great, I’m working out first thing in the morning which is a nice kick start for my day. For the past week I’m noticing definition on my stomach, arms and legs and that my clothes are getting loser so this morning I grabbed my regular jeans and a size smaller. After my work out, I showered and tried on the smaller size and they fit, whoo hoo. That’s a great motivator. As for the diet, I’m liking the six small meals, I never feel over stuffed anymore. My goal was to go down 3 dress sizes, I’ve got one done so if I can continue on this pace and go down one a month I’ll make it. I was a size 16 and am hoping to get to a size 10. Feeling stronger, more energy and am wearing a size smaller pants that I couldn’t zip just three weeks ago. "I can put my shorts from last summer on, leave them buttoned and they will slide off! I last wore them for a beach theme party in November! Eat by Color is WORKING!" "My goal is to lose 30 lbs., and after the 1st 3 weeks I have dropped 10 lbs.! I’m on pace to lose more than 30 lbs. I’ve been working hard and hitting the gym 4 days a week. The sample meal plans you provide in the book are helping me the most. It makes it incredibly easy to pick the right foods and stick to the schedule." How much would you pay to look great in a bikini this summer? What is having shorts from last summer big on you in April worth? How about fitting into that pair of skinny jeans that have been in the closet for years? How about going from a size 10 to a 4? Is it worth $25? Then what are you waiting for? Buy "Eat by Color!" What do you get with "Eat by Color?" Sample Meal Plan with "Eat by Color" Instructions to create your own! Guide to Eating at Your Favorite Restaurant, Even Fast Food! Before "Eat by Color" was published I charged as much as $150.00 for this information. You can get "Eat by Color" today, for as little as $9.99! A savings of $140! Back when I was fat I would have paid $500 for this info! "Eat by Color" is NOT a diet. Diets are short term plans. They end. Weight loss is Long Term! I have ridden the diet roller coaster too, lose a few pounds, gain a few with a few bonus pounds. In Chapter 5 I cover the popular fad diets and why they fail and will fail you too. You are no more likely to be a great bowler than you are to be fat, skinny, or unhealthy. Excerpt from Chapter 6 Your First Step to Losing Weight. It all starts with a goal and that is where we start in Chapter 6. Wonder what exercise you should or should not be doing? How much cardio? Weights or machines? You and everyone else. "Eat by Color" has a BONUS section with three complete weight training, core, and cardio programs. Each program has full color pictures and descriptions. 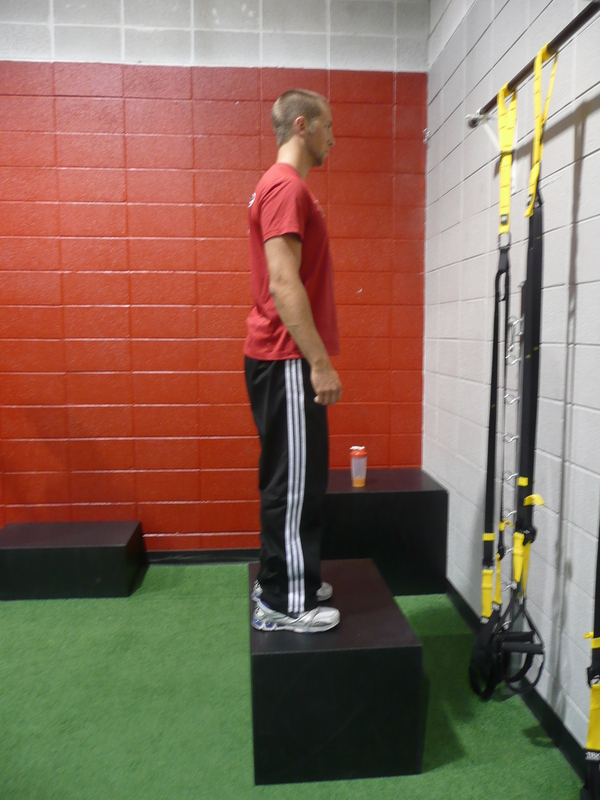 Simple results producing exercise that you can do at home or any gym. Three hours a week...max! Three complete training programs would cost you $180 (they would at my gym.) You get them as a FREE Bonus with "Eat by Color" for as low as $9.99! That is a savings of $170! Raymond M. Binkowski has personally lost over 50 pounds and kept it off for over 10 years! His waist has gone from 36 inches to 30. 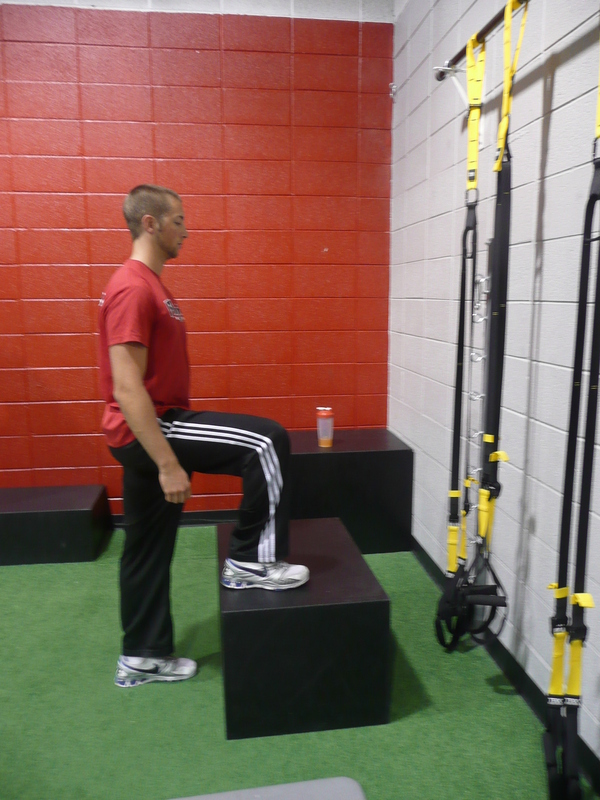 First hand experience was paramount in starting a successful personal training business in 2001. 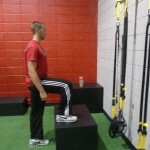 In 2007 he purchased a health club and added athletic performance training. Not only a gym owner and trainer, he is the former fat guy. As a former fat guy he knows what it is like to be overweight and want to make a change. 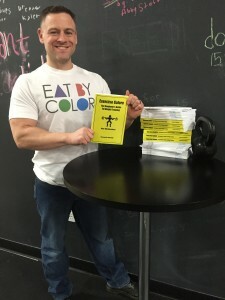 In the last 10 years he has helped hundreds of clients lose weight, using the info in “Eat by Color.” Clients include everyday people interested in losing weight. 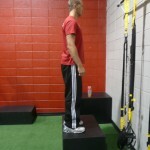 Other clients include professional and world champion athletes, police, fire and military. He has also been spoken and lectured at colleges, universities, and military bases. For a a few years he even had a weekly radio program. Ray is an accomplished author whose articles have appeared in national print and digital media.